The 10 Best Bars in Arkansas! 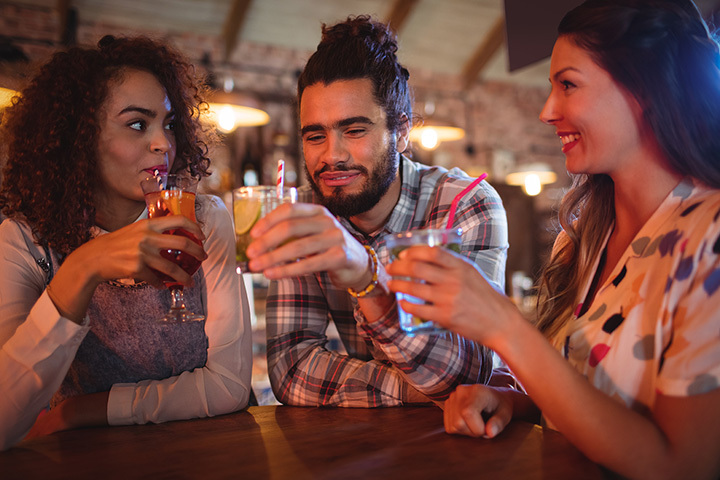 From after-work drinks to the weekend get-together with friends, Arkansans are always on the lookout for the best bars with the best bartenders. But it’s not always easy to figure out which bars provide delicious drinks, the right atmosphere and top-notch service. Fortunately, we’re here to help you out. Here are 10 cool bars in Arkansas to spend the whole night in! It’s no surprise that this best-voted bar has been the King of Dickson Street for the last 90 years. Established in 1927, George’s Majestic Lounge is the oldest and longest-running bar and live music venue in Arkansas. This popular lounge is the place to be in the downtown Fayetteville bar scene. The Little Rock Flying Saucer has been serving good beer to good people for over 20 years. The atmosphere and décor alone make this bar one of the best in the Natural State. Another Dickson Street favorite in Fayetteville, Farrell’s Lounge is where fun and friends meet. In 2011 CitiScapes Magazine voted this GastroPub among the best of NWA sports bars. A beautiful (and HUGE!) quartz-topped bar serves as the centerpiece that sets the stage of the cool environment at Farrell’s Lounge, Bar and Grill. For over 100 years now this Hot Springs’ bar has been the place to be for “the best night in town”. The Ohio Club, established in 1905 as a bar and casino, is among the oldest bars in Arkansas. From notorious gangers to famous baseball players, The Ohio Club has certainly seen its fair share of the best nights in town! Ciao Baci is a casual, yet elegant, bungalow located in Little Rock’s most happening neighborhood, the historic Hillcrest District. Ciao Baci features impressive customer service, an atmosphere that’s both comfortable and unique, and bragging rights for having the town’s largest half-bottle of wine collection. At first glance it may not look like much but Shirley’s has long-been a Springdale favorite. The locals can tell you that the atmosphere at Shirley’s rings true to its motto of, “where the fun begins…and never ends”. If you’re looking for a great bar where everybody knows your name, then Shirley’s is the place to be. “Come & Get Your Willy On!” is the motto of this popular piano bar in Little Rock’s River Market. Voted “Best Bar” in Little Rock by the Arkansas Democrat Gazette, Willy D’s Piano Bar features an engaging dueling-pianos show, a full kitchen that is open late, and two full-service bars. Willy D’s is where to go if you’re interested in a night of singing, dancing, food, and fun! This tavern has the “best darn pool tables in town”; well at least that’s what the locals tell the owner anyway. Arlie Muck’s, a long-time Fort Smith-area favorite, is a great spot for those nights when you just want to shoot some pool and drink some beer. Some say the décor inside of this cabin-like dive bar is as colorful as its own past. Over the years White Water Tavern has attracted such a solid following that it’s no surprise that it remains a local hotspot and one of the best bars in Arkansas. White Water Tavern is well-known for its live music venue featuring local, regional, and national acts. Locals enjoy many a happy hour at The Cork and Keg in downtown Fayetteville. With its premier location across from the Walton Arts Center parking lot, it’s the perfect spot for drinks before or after taking in a show. Not only does it have serve of the best bar food in the state but The Cork and Keg also makes some of the state’s best cocktails as well.